Astrophotography with the Sony Gmaster 24mm f1.4. Sony RX0. Adventure finds you. I'm an action / adventure hybrid shooter who travels light, forcing me to rely on one camera to produce both quality photos and video. I had been using the Sony a6300 / a6500 since their release, finding them each to be an all inclusive camera like I was looking for. To use S&Q setting roll dial to dash as seen in photo above. The ability to shoot great video in low light situations, combined with the S&Q ("slow and quick") function which allows you to shoot from 1FPS to 120FPS and export them straight out of camera in slow motion or a time-lapse video was a game changer for me. The S&Q function was by far my favorite benefit of using the a6300 / a6500 cameras. Prior to using the a6XXX models, I was shooting with the a7rII for its glorious 42mp files. Anyone that uses these cameras can tell you how stunning the images turn out. There is no coming close to the dynamic range and color rendering of this camera. The one short coming that I’ve found with the a7rII was shooting video in lower light. I've steadily become more intrigued with video, and when I got the a6300 in my hands it just made sense. It allowed me to shoot at a higher ISO while maintaining a cleaner image in video at lower light compared to the a7rII. YES the photo image quality is not quite on par with the a7rII, but the upgrade in video quality struck a cord in me. Now I was able to take just one camera on the road instead of taking both the a7rII and the a7s. 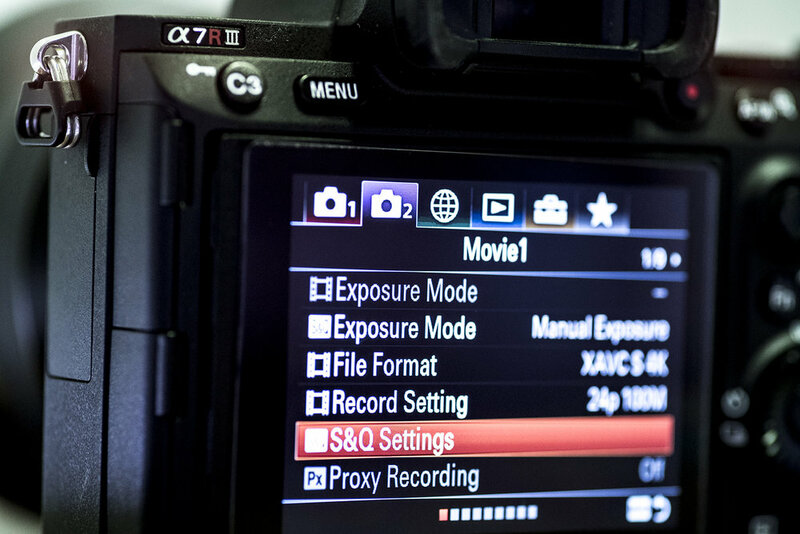 To find S&Q settings press menu button and move to Movie 1 and scroll down. Fast forward nearly a year and now the Sony a7rIII is HERE! Let’s just say this camera is what every hybrid shooter was asking for. I would call it the bigger brother to the a6500, containing everything that the crop sensor body has but now in a full frame body and more. With its new sensor design, the video in low light is outstanding! Now keeping up with the a6500 Combined with the 42mp, I'm back on the high horse rocking a camera that excels now at a higher level in photo and video. Click on S&Q settings and set frame rate to liking. 1 - 120fps. 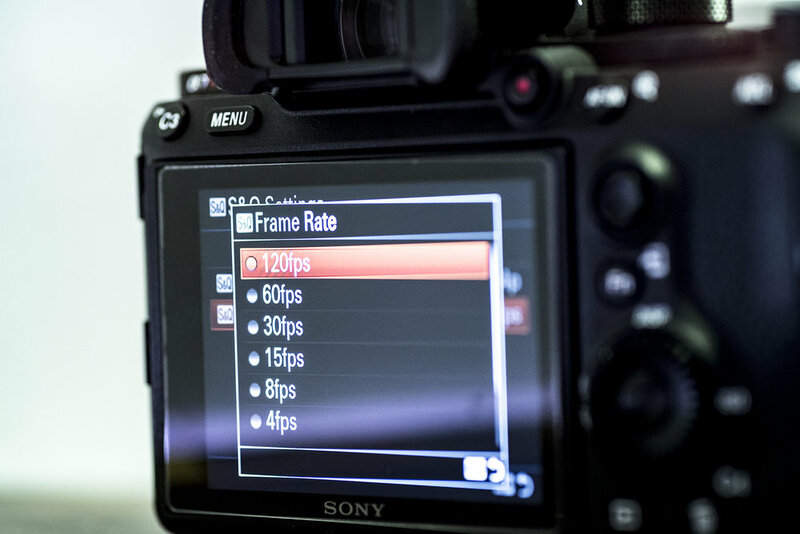 After choosing desired frame rate, back out of the screen by pressing the menu button twice, adjust your camera setting, press that record button and off you go! I hope you enjoy these two short edits. One is of my adventures in Mono Lake and Eureka Dunes in Death Valley national park. The other is a quick sunset time-lapse shot in Laguna Beach, California. Both videos were shot entirely on the Sony a7rIII using the S&Q function. 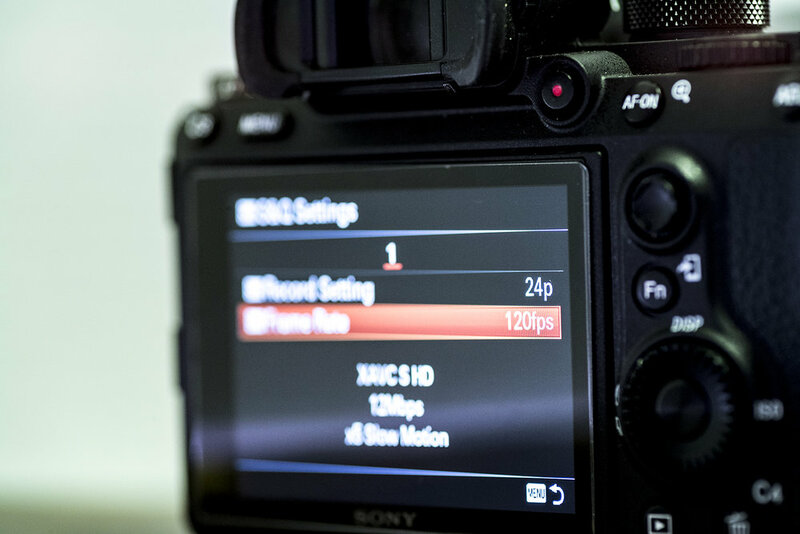 The S&Q function barely scratches the surface in reasons why the Sony a7rIII is truly a stroke of genius and it’s no wondering why it’s receiving so much positive press and attention. If you’re a hybrid shooter like me and considering purchasing the Sony a7rIII, take my advice. Buy it today! Thanks for stopping by gang. Aloha and have a safe and happy 2018!